Ships direct from vendor, usually w/in 14-21 business days. 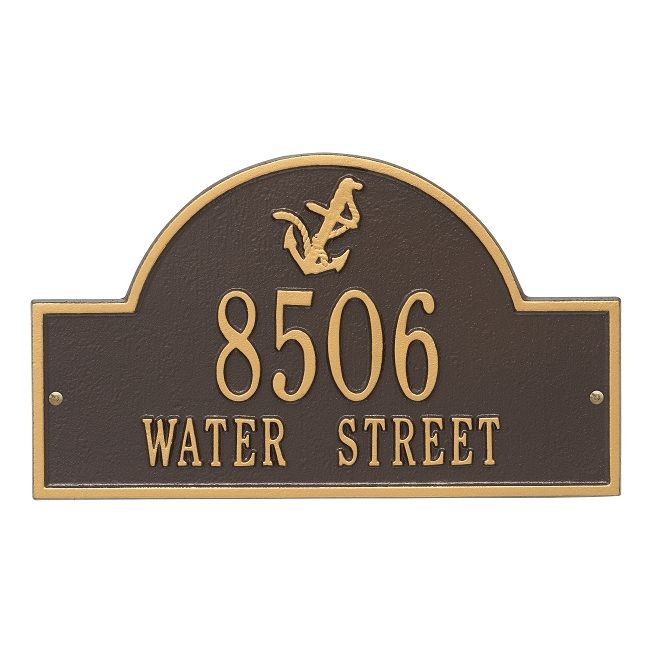 Made from recycled aluminum, this stylish personalized address plaque will be completely rust-free. It features an anchor design & personalization w/your address. Standard size (15.75" L x 9.25" H). Made in USA. 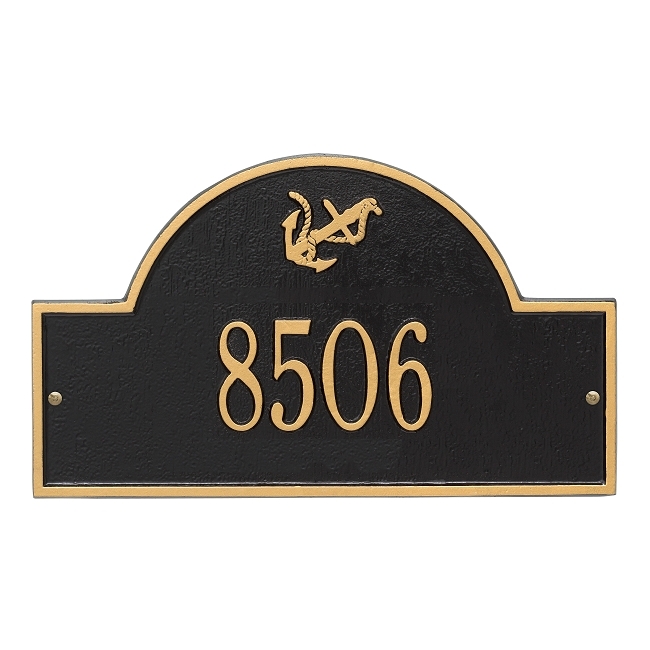 Made for wall mount.